Hi guys! Forgive me for the long absence. While in absolute isolation (and boredom), I present my latest custom creation. 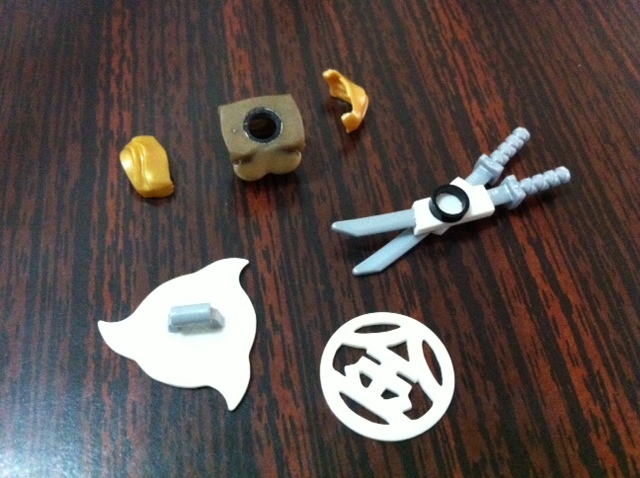 Lots of custom parts (plus a couple from Brickforge) went into the making. And of course, plenty of shiny gold spray paint.. I know my techniques and parts seem rather dated, but it's been a long time..
Wow, this is really cool! Great job! Great stuff! It doesn't look that dated to me that paint job is really clean. Long time no post! 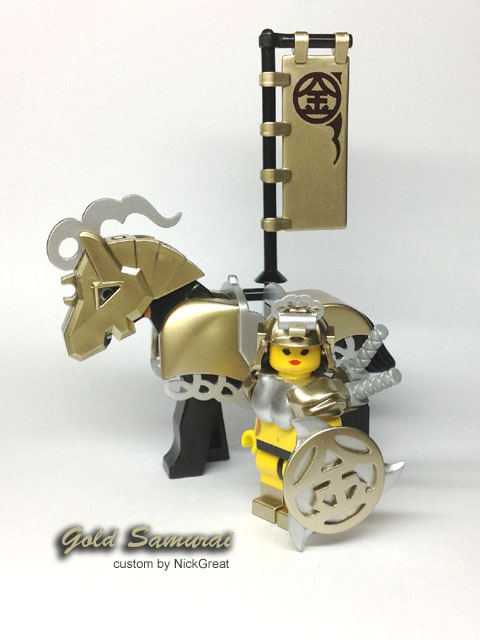 This gold samurai is wonderful and not at all dated. 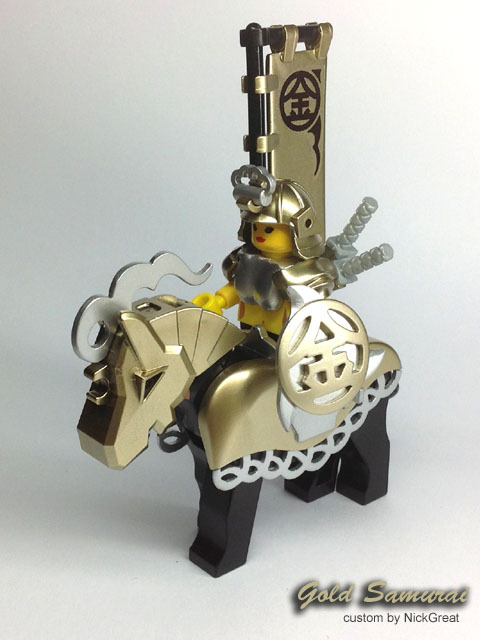 I particularly like the custom barding and shield. This is a very worthy addition to your family of samurai - you really need to take a group shot of all four if they are still around. 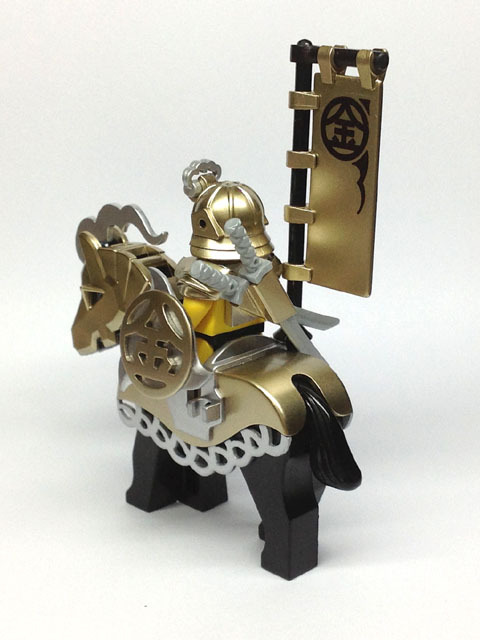 I quite like the gold armor on the black horse, it really makes the colors pop. Wow great job, I especially like that barding! Thanks for the somments and compliments guys! Hi Bruce! Great to back! I feel this project is rather dated cos I really haven't been up to speed on any new customizing techniques nor good knowledge of excellent parts available from 3rd party vendors such as Brick Warriors. It really has been a long time..
Wow, getting on the forums and seeing your handle pop up makes me feel a little old. I remember looking at your originals in the days of MCN. Yes, It has been a long long time since the MCN days .. I remember seeing your samurai's a while back, and was just given 'Standing Small' which has a couple of them on the Fan page. So it's great to see something fresh from you. I think customising has probably become a lot easier, with the introduction of more 3rd party accessories and weapons available, so it's cool to see someone do something a bit 'hands on'. How did you cut the horses barding? I especially like the double sword holder on her back! Yes, 'Standing Small' had my Red and Black samurai, both which I have proudly entered in CCCII and CCCIV respectively. CCCX is just over; time sure flies. I agree that there are now more weapons and accessories from 3rd parties; and even from Lego themselves. Kind of lessens the need for actual physical customization to a certain extent imo. This isn't a bad thing, considering that customizing is a niche hobby, while majority others are given a larger choice of readily available parts and accessories to choose from. The horse barding is cut using a Dremel, while it's trimmings are made of sheet styrene, cut and filed to shape. Quite painstaking actually. The katana sheath is also made from sheet styrene, cut, glued and filed to shape. I've attached a wip pic. You should make a blue samurai next. 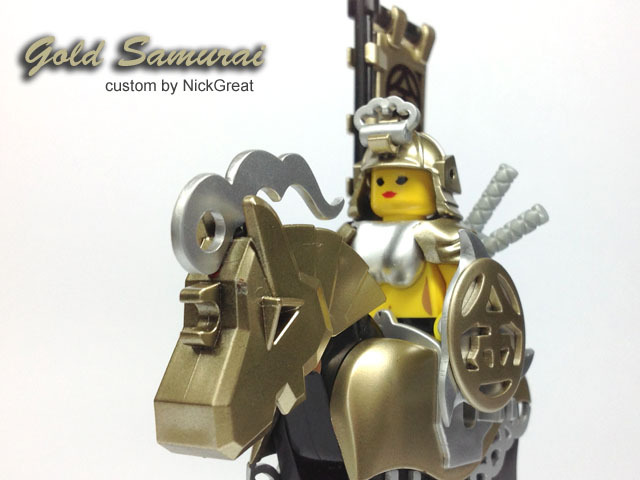 The gold samurai is amazing, a true customized work of art, just as your earlier samurai were. 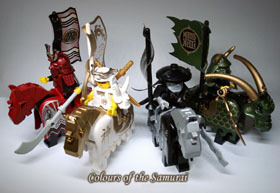 I think my favorite of the four is the green samurai. I saw someone mention MCN, which reminded me of your equally amazing Dragonball Z customs. Anyway, it's great to see you back in the game.